Middle East Navigation Aids Service (MENAS) is pleased to announce its on-going participation at the 2018 Seatrade Offshore Marine and Workboats exhibition in the UAE, where it has again taken exhibition space to promote its services. The forthcoming event takes place from the 29-31 October at the Dubai World Trade Centre. "We are committed to maintaining our long history as a maritime service of excellence, promoting safe navigation across the Gulf, one of the World's busiest waterways", explains Mahdi Al Mousawi, Acting General Manager, "To be part of the Seatrade Exhibition gives us the chance to network with industry professionals and likewise, gives those people the opportunity to interact with us". MENAS is the Gulf operations division of the London-based 'International Foundation for Aids to Navigation' (IFAN), and is the only independent Aids to Navigation authority in the world, with no country affiliation or national sponsor. It operates an ISO 9001:2015 quality-assured service, certified by Lloyd's Register Quality Assurance and is an associate member of International Association of Lighthouse Authorities (IALA). It is also a corporate member of the International Marine Contractor Association (IMCA) and maintains active links with various other organisations and hydrographic offices worldwide. "Having operated in the region for nearly a hundred years now, we are delighted to have another opportunity to connect with many of our colleagues in the maritime industries of the Gulf", says Albert Howard, Chief Executive of IFAN. "We are wholly committed to our presence in the GCC and are keen to participate in new initiatives that are in line with our global mandate to promote safety at sea". Playing a vital role in assuring the safe navigation of ships in the Arabian Gulf, MENAS owns and maintains an extensive network of buoys, lighthouses, racons, AIS and DGPS transmitters. 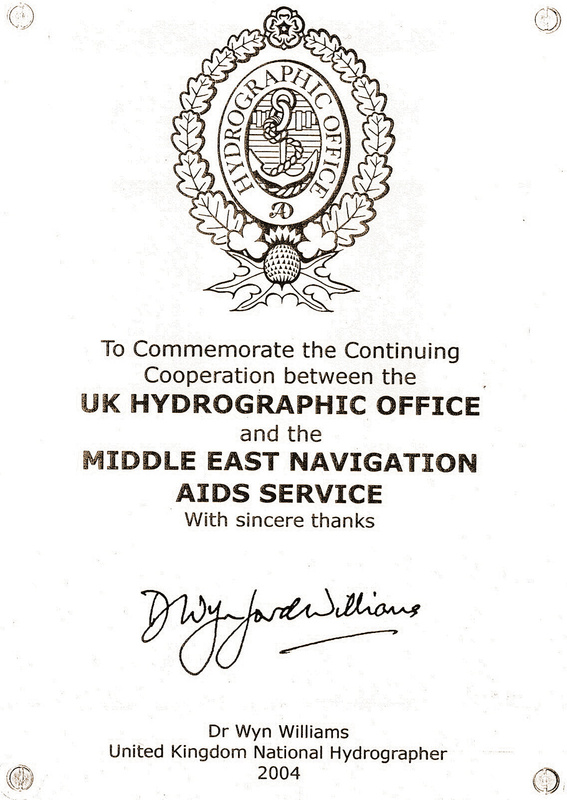 It also provides essential information and advice such as the issuance of Notices to Mariners, advising on hazards to shipping and additions to navigation charts for the Gulf. Over 2,000 vessels rely upon MENAS equipment and services each month. The Seatrade exhibition is the largest event of its kind outside of the USA and gives attendees the opportunity to listen and learn about current challenges and opportunities within the offshore marine and workboats market from some of the industry's leading personalities.